decided to, yet again, work on another Progressive House track.. trying my best to hone up on the ProgHouse productions.. why the song title? 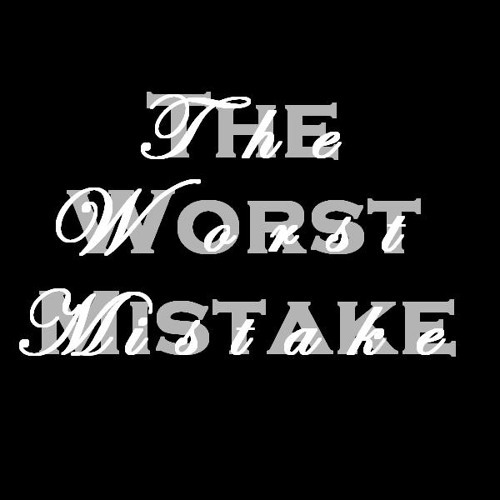 well.. the worst mistake... was falling for you. you know who you are and I know you care nothing of it.. but that was my mistake..
@soundbeforeblack: wow.. thanks for the kind comments, support and follow!! much appreciated! @jaypanchal7: wow, thanks for your kind comments... much appreciated for all that! @seize-the-beat: yea.. I re-listened to this a couple times and noticed the kick was a bit weak.. just haven't had enough free time to edit it.. still haven't mastered it yet either.. but I'll reupload it once it's all done.. HUGE thanks again for your comments.. it means a lot! seriously haha it really helps me pinpoint certain things I may have missed and gives me a chance to learn from it..
@bdash-1: biggggggg thanks! much appreciated for the kind words! @seize-the-beat: thanks! I took your advice and been trying my best to improve.. glad to hear there's some kind of improvements.. much, much appreciated! DUDE! You have seriously improved :D GREAT JOB!